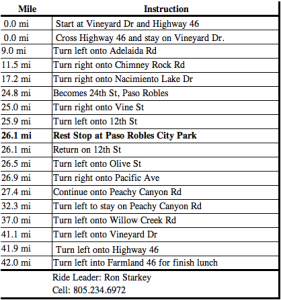 This Saturday’s ride will start at Hardie Park in Cayucos and goes North on Hwy 1 to Shamel Park in Cambria then back to Hwy 46 and up to Old Creek Road where we will descend back to Cayucos. 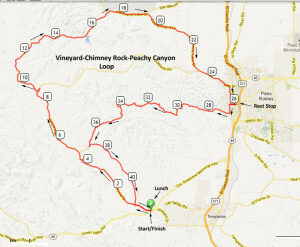 HEADBANGER OPTION: Climb Santa Rosa Creek Rd from Cambia to top of Old Creek Rd. Start Location: Hardie Park in Cayucos at the corner of Birch and B St.
we won’t be breaking for Lunch or Coffee Shop stops until the end. above Lopez Lake and back. SAT. 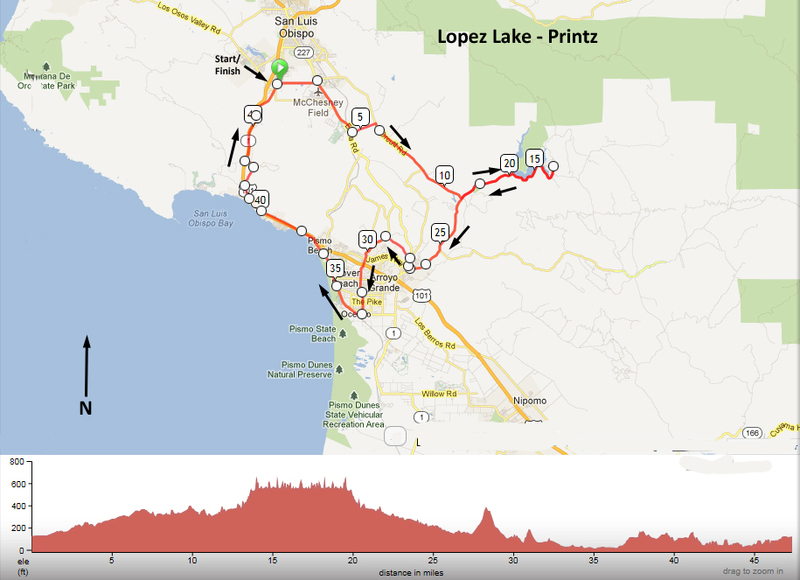 OCTOBER 5TH RIDE STARTS IN PASO ROBLES-TEMPLETON! 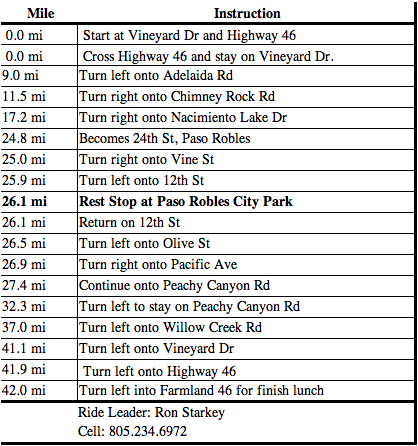 This Saturday’s ride will start at the intersection of Highway 46 and Vineyard Dr in Paso Robles-Templeton. The route goes out Vineyard Dr. to Adelaida Rd then across the top of the hills on Chimney Rock Rd then descends into downtown Paso Robles on Naciemento Lake Dr. After a rest stop at the city park the route climbs up Peachy Canyon Rd. then turns left onto Willow Creek rd. From there it’s a short hop to Vineyard and the finish. Faster riders are welcome and invited to go off the front and meet up with the rest of the riders at the rest stops. 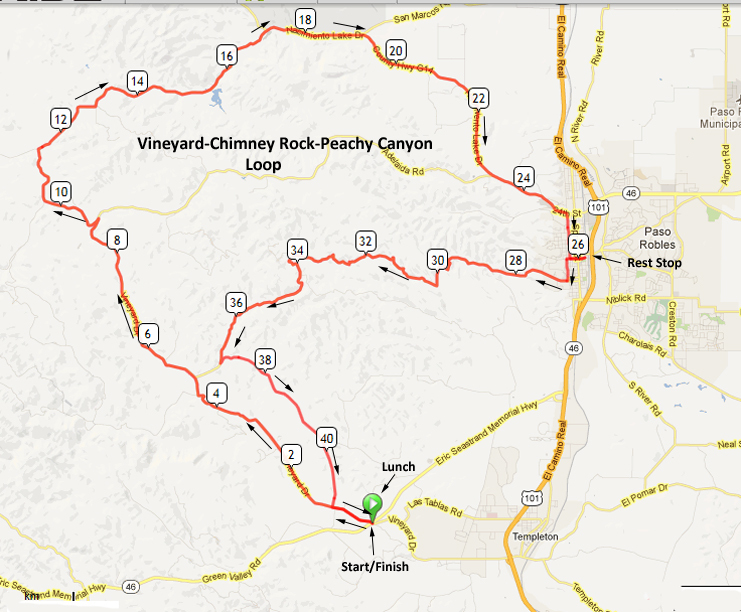 Regroups and Restrooms every 15+ miles or so…. we won’t be breaking for Lunch or Coffee Shop stops until the end.